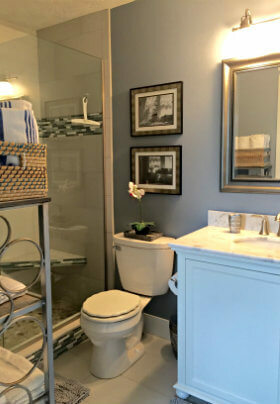 This two-bedroom townhouse/condominium is two levels with the two bedrooms and can accommodate 4 adults. it has a full bath, and washer/dryer located upstairs. 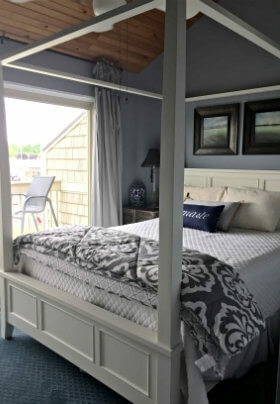 The master bedroom has a queen-sized bed and an upper deck with a commanding view of the Black River.The second bedroom has a full-sized bed. There is a sleeper/sofa in the living room. There is cable TV in both bedrooms and downstairs. The main level includes a full kitchen with all the amenities. The living room has a flat-screen TV, stereo with CD and VCR. There is a lower-level deck with gas grill, also with a view of the Black River, which offers a continuous parade of boats. This condo is not located on the same property as the Inn at the Park but is behind the Inn on the Black River. It does NOT include breakfast. 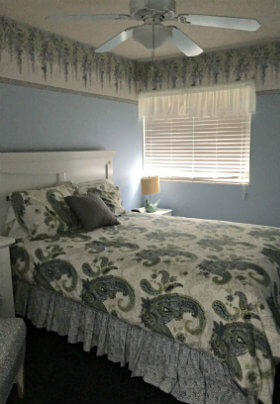 The location is within two blocks of the beach, two blocks from town, and just behind Inn at the Park. 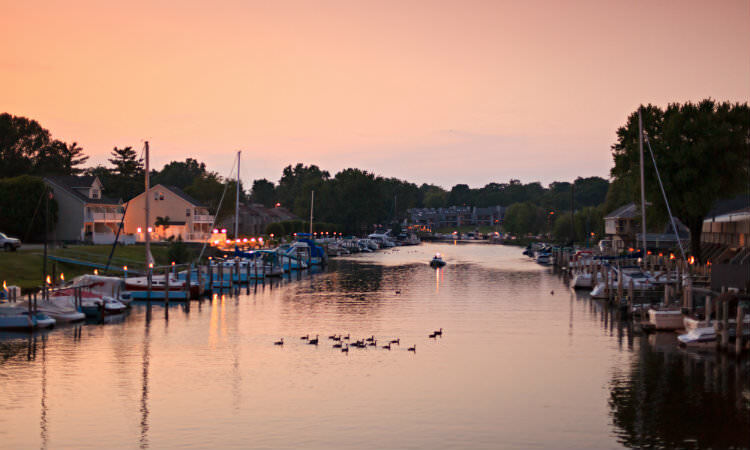 Leave the car parked and enjoy South Haven activities & attractions on foot or by bicycle.